Humans and Neanderthals divided into separate groups as far back as 765,000 years ago. DNA from another humanlike primate, the Denisovans, lurks in modern genomes, too. A molar and a chip of pinkie bone found in a Siberian cave provide what little information we have about this species. DNA extracted from the fragments previously revealed cross-species breeding. Yet a new study in the journal Cell shows that the ancient hanky-panky did not stop in Siberia: Humans who traveled across South Asia mated with a separate group of Denisovans as well. "This is a breakthrough paper," said David Reich, who studies ancient DNA at Harvard University and was not involved with the study. "It's a definite third interbreeding event," one that adds to the previously known Denisovan and Neanderthal mixtures. 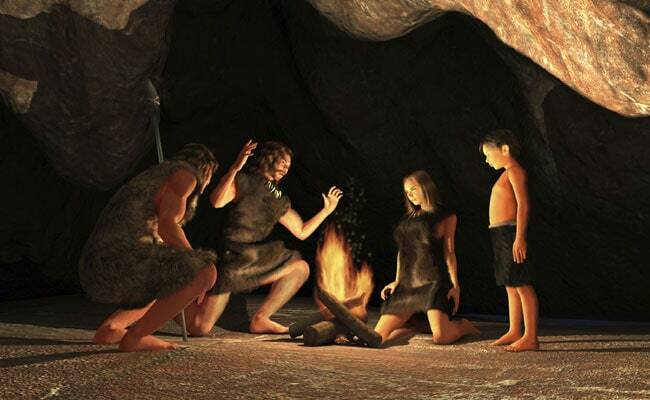 Humans and Neanderthals divided into separate groups as far back as 765,000 years ago. Denisovans and Neanderthals were closer cousins who split more recently and then vanished - perhaps because we absorbed their lineages. A team of scientists, led by University of Washington biostatistician Sharon Browning, took an approach that Reich called a "technical tour de force." In the new study, Browning and her colleagues examined more than 5,500 genomes of modern humans from Europe, Asia and Oceania, looking for any possible archaic DNA. "We're looking for segments of DNA in an individual that look quite different from the rest of the variation in the population," Browning said. After the team fished out the DNA variations, the researchers matched the segments to Denisovan and Neanderthal sequences, known from samples in Siberia's Altai Mountains. The surprise was a third cluster - not like the Neanderthal DNA and only partially resembling the Altai Denisovans. This, the authors concluded, was a second and separate pulse of Denisovan genes into the DNA blender. "The geography is quite suggestive," Browning said. The authors hypothesize that, as ancestral humans migrated eastward, they came across two different Denisovan populations. One pulse, to the north, shows up in people from China, Japan and Vietnam. The other Denisovan pulse appears to the south. "Maybe it was down in the southeast corner of Asia," Browning said. "It could possibly have been on an island en route to Papua New Guinea, but we clearly don't know." Reich said he would not be surprised if methods similar to this one revealed additional mixtures. "I am sure there are others," he said, considering the wide range of archaic groups across Eurasia. "We're interested in other populations around the world, especially Africa," she said.